While Boca Juniors’ path was marked by their great performances at home, River Plate had more trouble generating danger (they only exceeded 2.00 xG in one match). In the other hand, ‘Muñeco’ Gallardo’s team conceded much less than Boca. 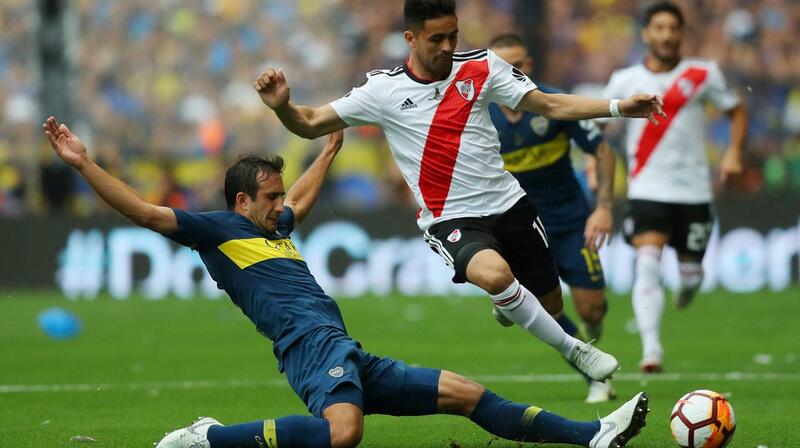 River generated an average of 1.21 goals expected in qualifying (Boca 1.42) and only 1.07 per game in defense (Boca 1.39). River has had in Franco Armani a savior, especially in 1/8s and 1/4s. Although it is true that the performance of the Argentine goalkeeper has gone down, his role was key in the previous rounds. 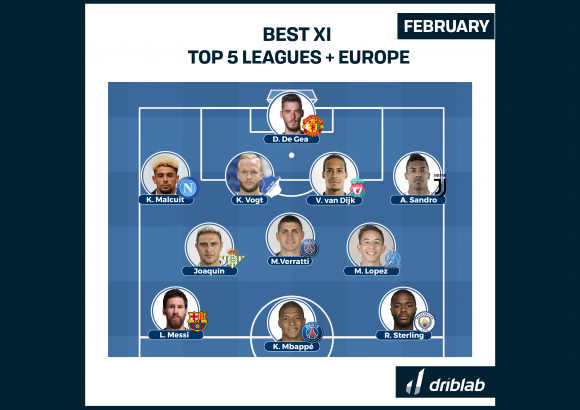 Other players who have been consistent over the months have been Ignacio Fernandez and, above all, Enzo Perez (who was also one of the best rated players in the first leg of the final according to Driblab models). 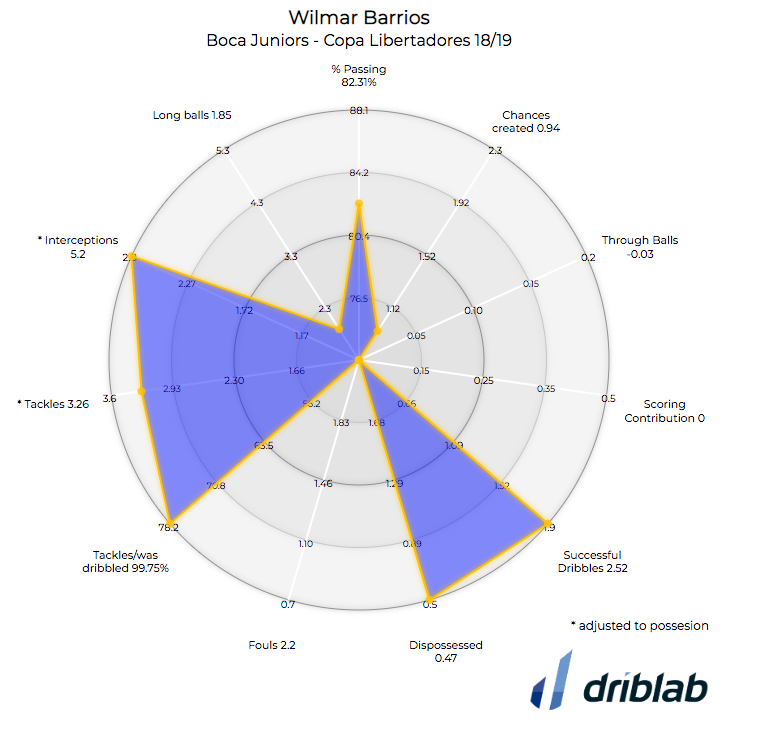 Wilmar Barrios has been the differential player in the midfield of Schelotto’s men. The Colombian midfielder has been unquestionable with more than 5 recoveries for every 90 minutes and with a perfect record in Tackles / was dribbled becoming a first level stumbling block for the rival game. 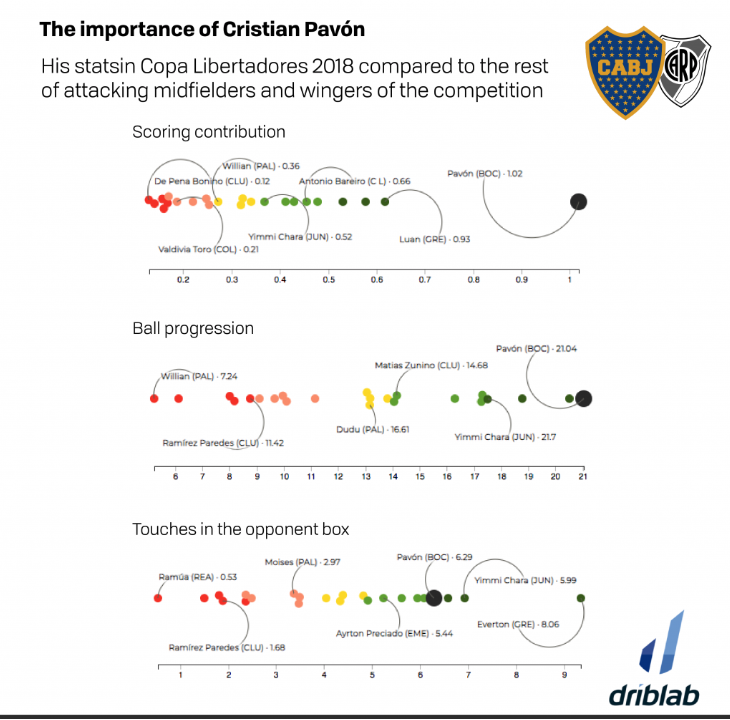 Another essential piece to understand why Boca Juniors will be in the final is Cristian Pavon. The winger only played 25 minutes of the first leg due to injury and his loss always detracts a lot from his team’s attacking play. 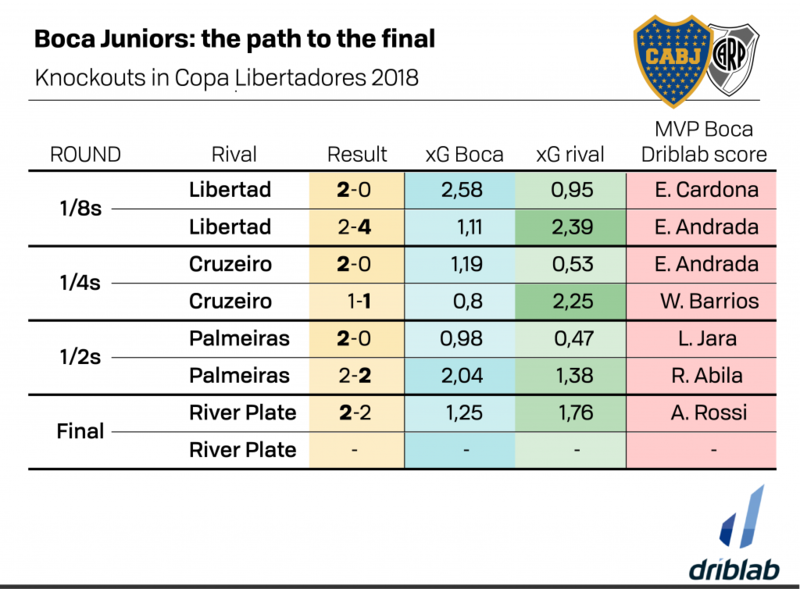 We have reviewed their data in this Libertadores and compared them with the rest of offensive players of the competition (minimum 400 minutes played). The question as to whether or not he will be able to play in the starting line-up marks the pre-match. The finishing of Boca Juniors: attending the qualifying matches Boca Juniors managed to score 15 goals with only 9.9 goals expected. 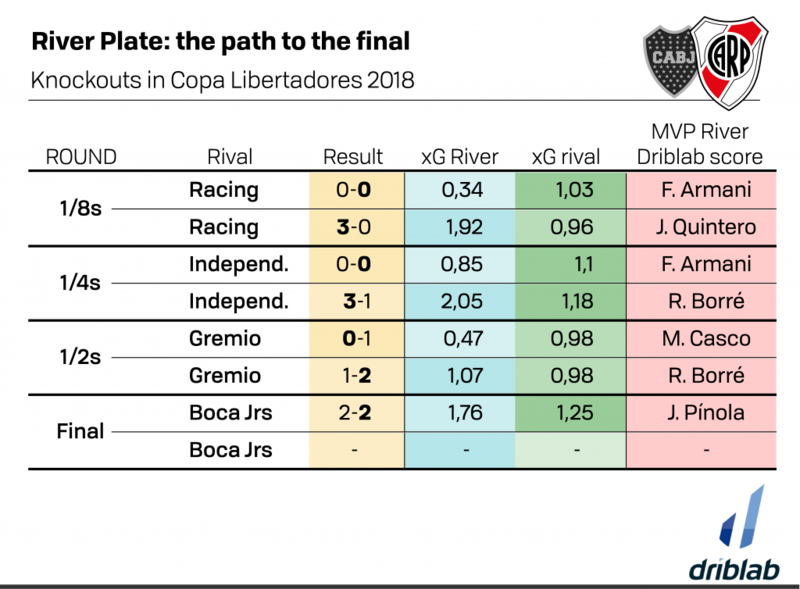 That reliability in taking chances has paved the way to the final and, in fact, in the first leg they managed to score despite always generating fewer expected goals than River Plate. Set pieces: one of the great concerns for Gallardo in the first leg, perhaps that’s why he opted to ensure with a scheme of three center backs formed by Javier Pinola, 54% success in aerial duels, Maidana, 53%, and Martinez, 53%. All this against Boca Juniors, who in the first leg found in Benedetto a great resource – he came out for the injured Pavón – and taking advantage of the fact that statistically he is stronger from above than the rival central defenders (in the first leg he already scored a header). Protecting the lead: River Plate have had tough times throughout the Libertadores but one constant was the confidence the team acquired after taking the lead in previous rounds. 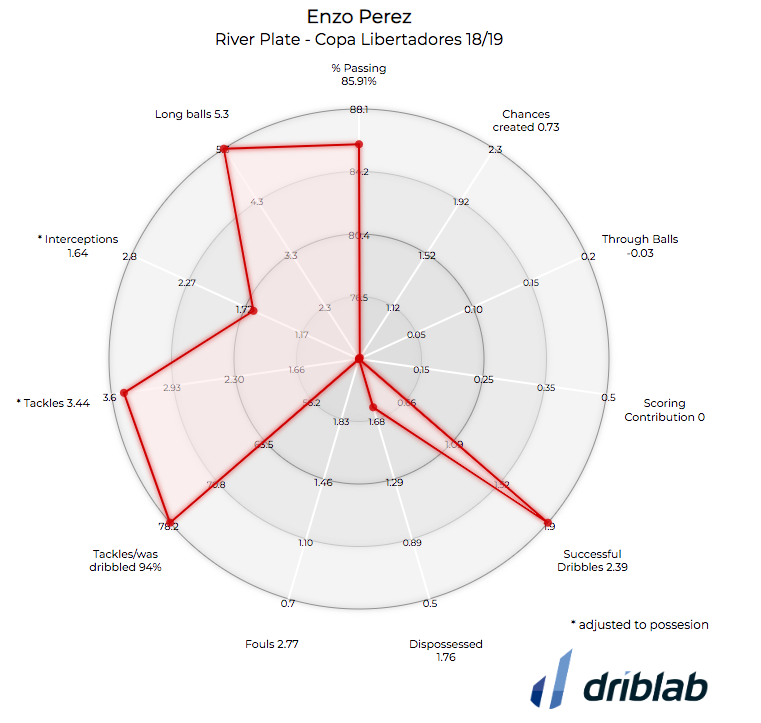 Few expected goals in which River did not concede chances and in attack took advantage of their ability to unbalance with individual skills of Gonzalo Martinez, Rafael Borre or Exequiel Palacios – all with more than 2 dribbles completed per game-. Gallardo’s men know how to handle the match rhythm better and concede less, they have less success in the end but much more control in the midfield than Boca.